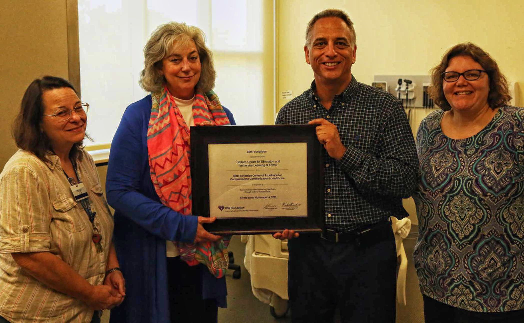 Eastern Virginia Medical School's Sentara Center for Simulation and Immersive Learning was named a Breaking Bad News Foundation Center of Excellence for Compassionate Communication in Healthcare on November 3rd, 2016. Over the past twelve months SCSIL has been host to multiple breaking bad news workshops for the residency programs at EVMS. The workshops are designed to train the residents on effective and compassionate communication in healthcare. To learn more about the BBN foundation, visit http://bbnfoundation.org/.